The Police & Crime Commissioner Election was on May 5th and the EU Referendum on June 23rd 2016. 2. Applications to register to vote must reach the Electoral Registration Officer below by 12 midnight on Tuesday 7th June 2016. Applications can be made online. 3. New applications for postal votes or written instructions to change or cancel an existing postal or proxy voting arrangement must reach the Electoral Registration Officer at the address below by 5pm on Wednesday 8 June 2016. 4. New applications to vote by proxy at this referendum must reach the Electoral Registration Officer at the address below by 5pm on Wednesday 15th June 2016. 5. Applications to vote by ‘emergency’ proxy at this referendum on the grounds of physical incapacity or for work/service reasons must reach the Electoral Registration Officer at the address below by 5pm on Thursday 23rd June 2016. The physical incapacity must have occurred after 5pm on Wednesday 15th June 2016. To apply on the grounds of work/service, the person must have become aware that they cannot go to the polling station in person after 5pm on Wednesday 15th June 2016. Here is the official pdf version of the notice. You must be on the electoral register to vote in elections. Registering takes around 5 minutes. You’ll need your National Insurance number (if you have one). You can use this service to register to vote and/or update your name, address or other details on the electoral register. Willersey residents voted to choose a Police & Crime commissioner on May 5th. Police and Crime Commissioner elections use the supplementary vote system. Your ballot paper had two columns. You voted for a first and second choice of who you wanted to win. Search for Gloucestershire PCC Kirby, Gloucestershire PCC Surl, and Gloucestershire PCC Windsor-Clive to find out about the candidates. The result is that Martin Surl has been re-elected to the role of Police and Crime Commissioner for Gloucestershire. He received 41% of the first preference votes and was elected after the second preference votes were counted, when no candidates received more than 50% of first preference votes. Mr Surl received a total of 78,592 first and second preferences compared to his nearest challenger, the Conservative Will Windsor-Clive. Mr Windsor-Clive received 51,567 of the first and second preference votes. The only other candidate, Labour Barry Kirby, was eliminated after the first round of counting because he did not have enough votes to continue. Turnout was 30%, up from 17% in 2012. Mr Surl said he wanted to thank everyone who “made it possible” for him, but added: “The work is just beginning here now. The Cotswolds Constituency covers the entire Cotswold District together with three Stroud District Council wards (Kingswood, Minchinhampton, Wotton-under-Edge). The overall Parliamentary electorate is currently around 77,500. There are 128 polling stations within the Parliamentary Constituency area, all of which will be open from 7.00 a.m. until 10.00 p.m. on polling day. Results are added to the Council's website as soon as possible after the counting of votes for each election has been completed. The Twitter account @CotswoldDC also carries results information. 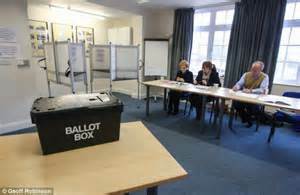 Results information is also available from the Council Offices at Trinity Road, Cirencester.
. Cotswold District Council is urging residents to make sure that they are ready, and able, to cast their votes. 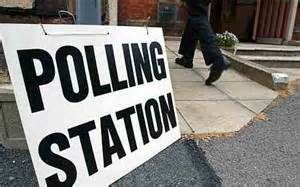 The Council is keen to ensure that anyone entitled to vote does not miss out. The deadline for postal vote applications, or to amend an existing postal or proxy vote for the PC election was 5pm on Tuesday 21st April. Anyone wanting a new proxy vote (i.e. to enable someone to place a vote on their behalf) should apply by 5pm on Tuesday 28th April. Finally for completeness here is the list of polling stations.